How can my DNA improve my fertility and help me conceive? What makes Lin Weinberg different than other fertility coaches or guides? Lin Weinberg uses the latest, most up to date research and science to achieve conception. In doing so, Lin takes advantage of genetics. Every body is unique and should be accessed accordingly. Not all approaches work on all people. Lin has a very thorough client intake assessment where all aspects of your fertility health is examined. Often times you will be required to see many specialists to have your entire fertility health examined, whereas with Lin, she analysis your entire reproductive health. Lin Weinberg looks for any opportunity to improve your fertility. Lin Weinberg uses a natural and scientifically proven approach to achieve a healthy pregnancy. Poor egg quality is emerging as the single most important cause of age-related infertility, recurrent miscarriage, and failed IVF cycles. Using your DNA to guide the approach created just for you, Lin incorporates all natural solutions to ensure you have the best quality eggs possible for your body. Lin Weinberg also helps the fellas too. Lin has a protocol to help increase the quality of sperm to optimize your overall chances to conceive. Intended parents need to know there is so much they can do now, to influence and tip the scale in their favor of having a healthy baby. Lin Weinberg comes from a place where she can relate to her clients. She has gone through the daunting and laborious process of IVF and IUI. She also has gone through the process of selecting a known sperm donor and as such is an advocate for using known sperm donors. Lin understands the medical professionals that are apart of your team are doing their jobs, while for you, it’s not a job, it’s your life. She takes her role very seriously and considers it an honor to be a part of your adventure. How long does Lin typically work with clients? Lin typically works with clients for six months. The idea is to teach you how to take control of your own fertility health. Once you are empowered to be your own advocate and or pregnancy has occurred, Lin remains on the sidelines as one of your greatest supporters. Of course, if you have a specific need that Lin can meet beyond the six months, she will consider extending her role. Does Lin work with individuals, couples and intended parents outside of Los Angeles? Yes she does. Lin works with clients both domestically and internationally. She also visits NYC periodically through the year and meets with clients face to face when there. Lin is available via email, Skype, Facetime and in person. Founder and President of Spoken Origins, Inc.
A 2016 recipient of the National Association of Professional Women, Woman of the Year award for Lin’s outstanding excellence and dedication to her profession and the achievement of women. Lin Weinberg is a Professional Member of Resolve, The National Infertility Association. Lin also supports and gives charitable contributions to the non-profit Baby Quest Foundation helping intended parents finance their fertility treatments. Additionally, she is a Known Sperm Donor Advocate. 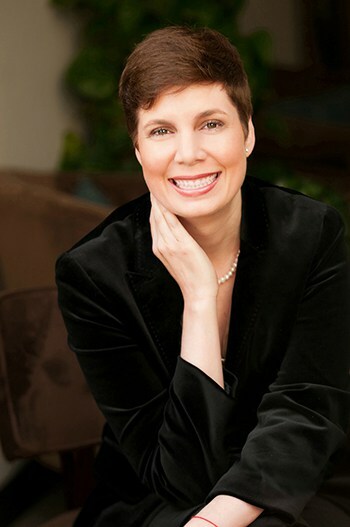 While currently in the U.S. there is no nationally recognized agency providing certification for Fertility Coaches, Lin is a Certified Holistic Health Coach graduating from Institute for Integrative Nutrition – the world’s largest nutrition school and one year long certification program. She was trained in over 100 dietary theories. A Health Coach is a supportive mentor and wellness authority who works with clients to help them feel their best through food and lifestyle changes. Instead of prescribing one diet or way of exercising, Health Coaches tailor individualized wellness programs to meet their clients’ needs. What makes a Health Coach unique? Relationships, exercise, career, and spirituality are just as important to your health as the food you eat. Health Coaches understand this and take a holistic approach to supporting the whole person. What’s a known sperm donor? A known sperm donor is a donor who donates sperm with the objective of helping families who are not his sexual partners conceive and who wishes to be identified or be known to the child(ren) born using said donors sperm donations. While the known donor is the biological father, AKA “Bio Dad” of all children created, he is not the intended legal father or guardian. Depending on which country, state, etc. you reside, he may or may not be eligible to seek parental rights and or be held responsible financially. What is known sperm donor advocacy? Known sperm donor advocacy is in effect the advocacy for using a donor who is willing be known to the child(ren) born using said donors sperm donations. Who are donor conceived people? Donor conceived children/people are people who were conceived via a sperm donor. Those who are single, partnered, gay or lesbian, medically infertile or partnered with someone who is medically infertile. Why would someone avoid using an anonymous sperm donor? • Currently in the US, the sperm donation world is not regulated. • What is commonly referred to as sperm donations, are actually men selling their sperm. • The majority of all sperm donors found at a cyrobank are anonymous sperm donors. • Cryobanks are not legally obligated to screen recipients to confirm or qualify a recipient financially or otherwise. • In theory, a recipient in some states could order the sperm to his or her home; pass the sperm onto a friend, neighbor and or stranger with no accountability. • Cryobanks do not limit the number of children born to a specific sperm donor. • You are required to wait until your child reaches the age 18 to possibly know the identity of the donor (he could refuse the child’s request to know and or has died before your child reaches the age of 18). • Recipients are not required to report back to the cryobank sharing any births, birth defects or miscarriages which has lead to numerous children being born with genetic diseases. Canada, Sweden, Norway, the Netherlands, Britain, Switzerland, Australia, New Zealand, and others, only allow non-anonymous sperm donation, generally based on the principle that the child has a right to know of his/her biological origins. Why would someone choose a known sperm donor? • Our children have the right to know their biological origins. • A Known Sperm Donor is actually donating and not selling his sperm. • A Known Sperm Donor is willing to reveal and share his identity with recipients and his donor conceived children. • You and your children won’t have to wait until the age of 18 to possibly know the identity of your/their known sperm donor. Consider if the anonymous donor doesn’t live until your child reaches the age of 18. • A Known Sperm Donor is willing to share all known medical history. • A Known Sperm Donor is willing to share photos from infancy to adulthood. • A Known Sperm Donor is willing to meet in person. • A Known Sperm Donor is willing to have video chats online. • A Known Sperm Donor is willing to speak via the telephone and correspond via email. • A Known Sperm Donor is willing to share the number of other possible conceived children and locations. • A Known Sperm Donor is willing to be tested for STDs and infectious diseases. • A Known Sperm Donor is willing to go to a cryobank typically at the recipient’s expense. • A Known Sperm Donor can potentially donate enough sperm for multiple pregnancies ensuring the use of one donor for all potential children in a family unit. • A Known Sperm Donor is willing to relinquish his legal parentage rights over to recipient(s) severing all his rights including financially. • Using a Known Sperm Donor allows for any type of mutually agreed upon arrangements. The possibilities are abound. Why does someone become a known sperm donor? • Men like women, have a biological need to procreate. • The majority of known donors are motivated by the satisfaction they get by helping others. • Often times, known donors do not want to make our children a commodity and see themselves as an alternative to the cryobanks. • Known donors like the freedom to choose their recipients in the same way recipients want to choose their donors. • Known donors realize how much of a gift it is to know one’s biological origins and very much want to gift this knowledge. • Known donors understand the importance to some, to have the option of using the same known donor when having children. • The journey with a known donor is so much richer. Whereas buying from a cryobank can be experience as just another purchase (think “vending machine”). Wanna become a known sperm donor? If you are interested or someone you know is interested in becoming a known sperm donor, please feel free to send a message with the subject line “Known Sperm Donor Inquiry” and or, feel free to dial me directly. Here at Spoken Origins we require the donors we work with to disclose their identity in real time as a donor is matched to a suitable recipient. Additionally we require known sperm donors to have their dna/genomes tested for the purpose of sharing their ancestry. There are a number of companies offering this service at a nominal rate to consumers. Typically these tests are simple and painless. Some recipients are willing to pay for this testing. While we advise our known sperm donors and recipients as to the next steps, we leave the final say up to the known sperm donor and recipient. It’s all so personal and we honor the uniqueness in all our matches. Get updated with the latest fertility news here! A Fertility Coach: Is One Right for You? © 2019 Lin Weinberg, Your Fertility Guide is a Reg TM of Spoken Origins, Inc., All rights reserved.